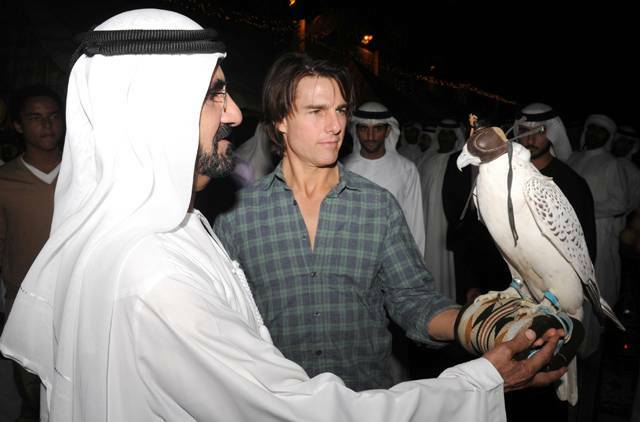 As some of you know, Tom Cruise is currently in Dubai trying hard to bring that dying franchise "Mission Impossible" out of respirator support. 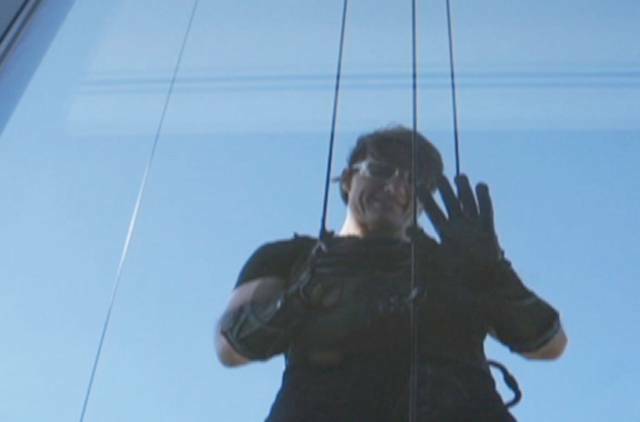 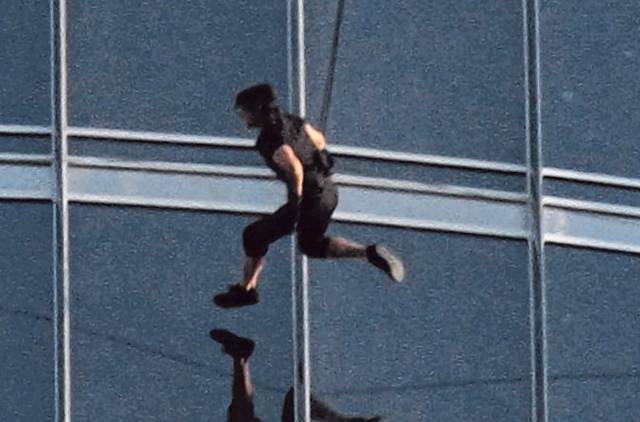 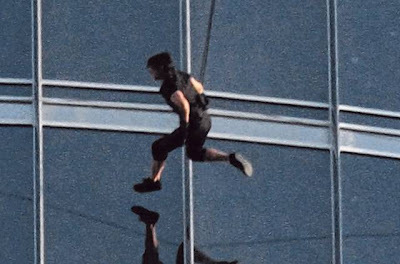 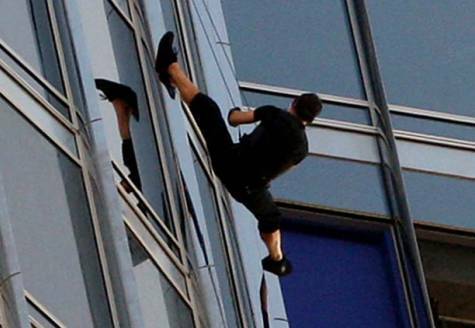 Mr. Cruise has been spotted doing his own stunts, hanging from the world tallest building (impressive) and filming around beautiful Dubai Creek. He was gracious enough to smile for the tourists and answer tweets from the local newspaper in Arabic (!). 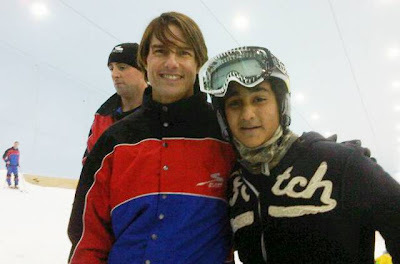 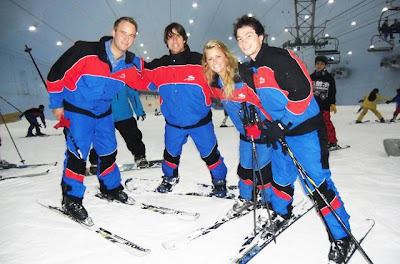 He also visited Ski Dubai for snowboarding session and took some more pics with the fans.